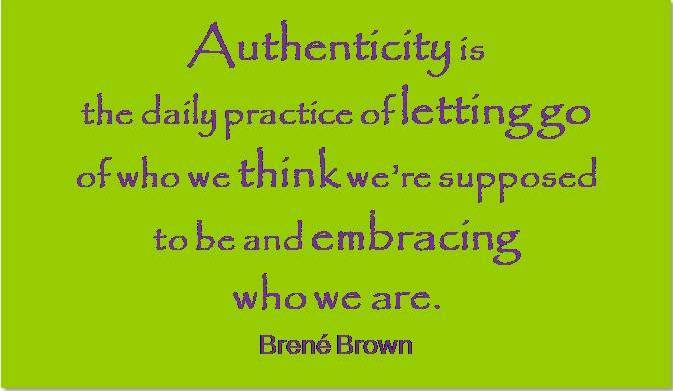 If I say the word authentic to you, what do you think of? An antique that has been confirmed as an antique? A painting that was actually done by Picasso and is not a fake? Authenticity provokes many images and discussions but if you think about it the fake Picasso is actually authentic, it is an authentic fake! But what about us, how authentic are we? Do we show the “real me” or how many of us practice the art of being a Chameleon and change to fit our circumstances? I know experienced and well practised sales people who adapt to any given situation in order to get that commission in the bag. They are exhausted by the end of the day because they have had to “fit in” to try to bag that contract. My thought is this, are they tired from the effort or are their brains so confused by the changes in personality that they need to reboot? I know one “sales guy” who earned an amazing amount of money but two months ago he flipped out because, in his own words, “I had been so used to being someone else, when I was faced with the real me, I hated it”. 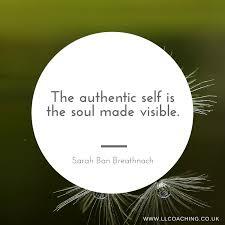 Authenticity is a scary thing because it means showing ourselves for who we really are! Letting the vulnerable side be exposed as well as every little character trait! It takes a strong person to be totally authentic, or does it? Very often things happen and we have no choice but to let ourselves be ourselves. The universe, God, Buddha, karma or whoever you believe in decides it is time to show you in your raw state, to expose that well hidden side that only the mirror sees and it is nearly always for a darn good reason. I know that in my case, I got so fed up of trying to be all things to all people. I got so tired of trying to fit in with various different groups and, with a lot of guidance from experienced counsellors, found that it was far less exhausting just to be me. Yes, you lose “friends”, yes people who think you are boring drift out of your life but that is just the universe clearing things up, so that you can let others in and be open to newer adventures. I think that quote from Brene Brown says it all, let go of that nonsense and be you. Embrace who you are, it is far less exhausting! Previous Passion for the Good or Bad ! Next A Right Good Greet!